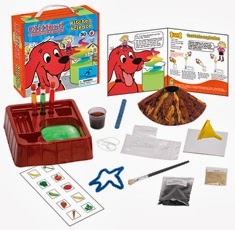 Top Notch Material: Christmas Gift Ideas: The Young Scientist Club- Clifford's Kitchen Science Kit! 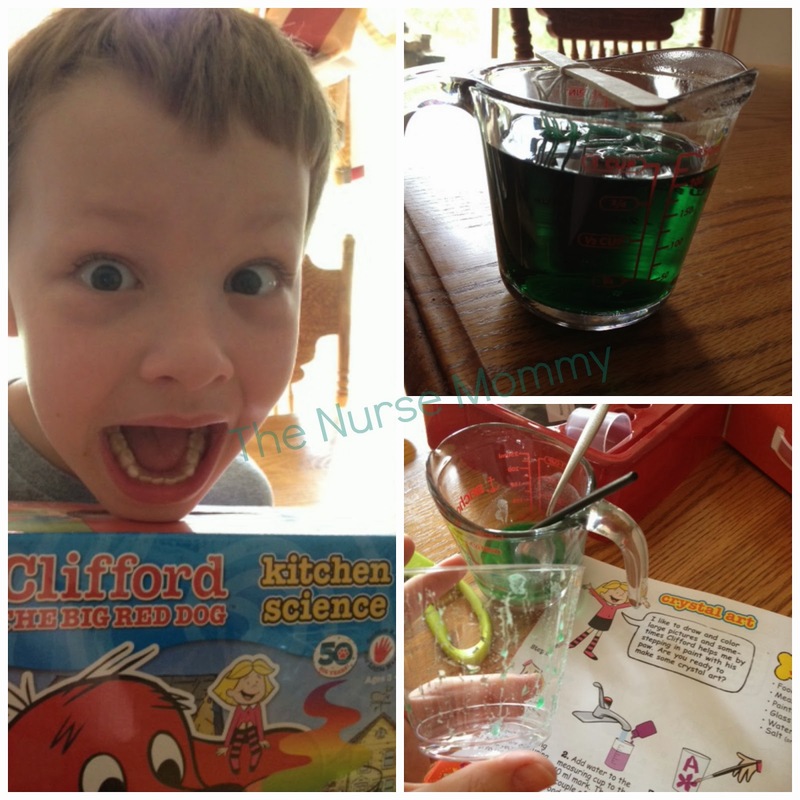 Christmas Gift Ideas: The Young Scientist Club- Clifford's Kitchen Science Kit! 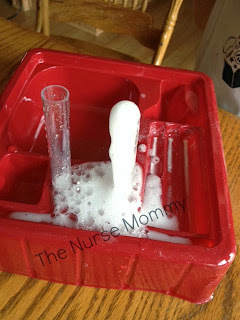 As a Mom of two boys, science experiments are a big thing in our home. We love experimenting with just about everything, but since Florida is so hot, we prefer to keep our experiments indoors. The Young Scientist Club has solved this problem for us with an entire line of Clifford The Big Red Dog Series science kits and games. We were lucky enough to receive the kitchen science kit for review. Emily Elizabeth, the narrator of Clifford: The Big Red Dog show, is also the narrator of the very bright and fun 20 page science manual. This kit allows you to have test tube explosions, make volcano's, crystals, color celery, watch fungus eat a banana plus much much more! This kit is incredibly fun for any little one and is geared towards children aged 3+. At the age of 6, you might think that my little guy is a little too old for the experiments in the Kitchen Science kit, but that is not the case at all. 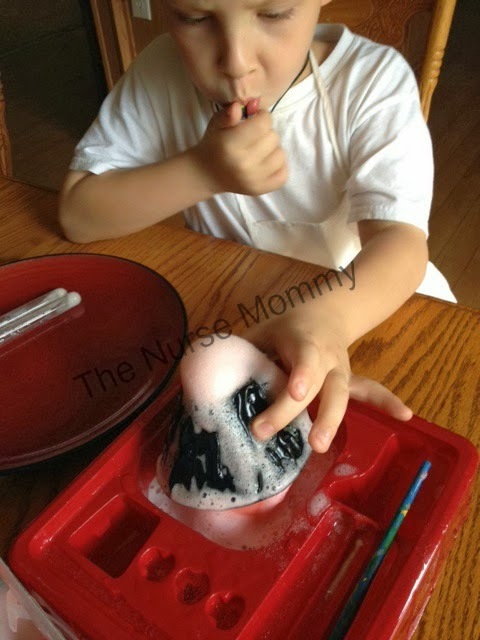 We had an enormously fun time creating crystals, making a volcano, as well as a test tube explosion. After all, what little boy does not like watching things "blow up?" My little man loved that he felt like a real scientist with test tubes, and setting up our "lab." He loves things that stimulate his brain because he is a very smart little boy, and Mommy loves the Kitchen Science kit just to spend quality time with him, and get his head out of the tablet. If other kids love this as much as my little man, I know it will be a hit. In fact, I know it IS a hit because it was voted the Creative Child Magazines Best Toy Award for 2013! Be sure to follow The Young Scientist Club on Facebook for the latest product details. Buy It: This kit, as well as other kits at The Young Scientist Club can be purchased for $19.99!! This is the perfect Christmas present, because it stimulates the brain, rather than the brain numbing toys many children receive around the holidays.